Yajnya is the process of healing and purifying the atmosphere through the agency of fire tuned to a specific bio-rhythm of nature. By inducing a change in the atmosphere we bring about a change in the functioning of Prana (life energy). Prana and mind are like two sides of the same coin and hence the beneficial change is transposed to the realm of the mind. We heal the atmosphere and the healed atmosphere heals us. 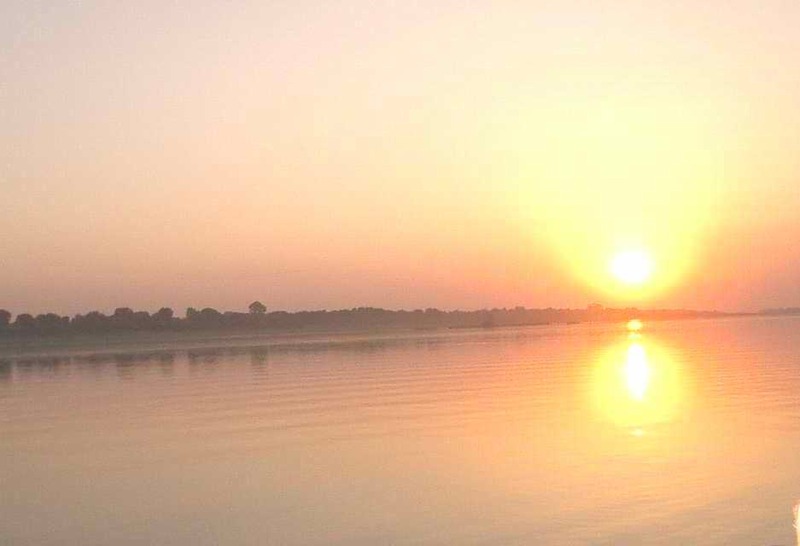 Agnihotra is the basic Yajnya tuned to the bio-rhythm of sunrise/sunset. Yajnyas (or Homas) have existed on earth ever since man has inhabited the planet. Vedas do not date, as most people think, from a period three to four thousand years ago. Vedas were revealed to mankind at the time of creation. Yajnyas were performed in their original and pure form for a variety of purposes. The basic concept of Yajnyas is that with their performance changes are induced in the atmosphere which evoke intended effects on the whole biosphere. Many civilizations and cultures have existed on this planet and in the course of time they have vanished because they no longer followed the precepts given in Vedas for mankind’s happy life on the planet. Yajnyas consist of an offering to fire which can never involve flesh and blood. 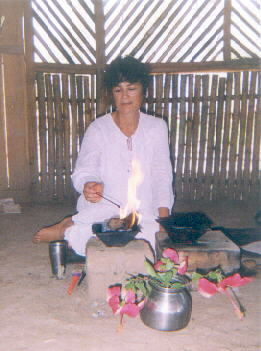 For example, in Agnihotra, the offering consists of ghee and rice. In other Yajnyas it can be ghee, milk, the juice of medicinal herbs, etc. The fire offerings of flesh and blood as mentioned in the Old Testament of the Bible are degenerated Yajnyas. Since mankind’s earliest beginnings, fire has been an object of religious worship. Even the first word in the Rigveda is “Agni” which means fire. With this first word man’s attention is directed to the importance of fire. The offerings to the fire were, in the course of history, connected with man’s habits of feeding. When people started eating meat and drinking blood, the violence associated with killing animals created negative effects on the atmosphere which were compounded by burning flesh and blood offerings in the fire. Nowadays the atmosphere is overloaded with force and violence. This is a direct consequence of eating meat and the wrong performance of Yajnyas or their total non-performance. If we look at the history of occidental man, we see that in the Old Testament frequent reference is made to fire offerings wherein all manner of animals were slaughtered. Yet in the New Testament there is no mention of it. For wherever Christianity spread, fire offerings vanished and the so-called Lord’s Supper took their place. This disappearance of Yajnyas was necessary to prepare people’s minds for the practice of Yajnyas in their pure and original form as given in Vedas.